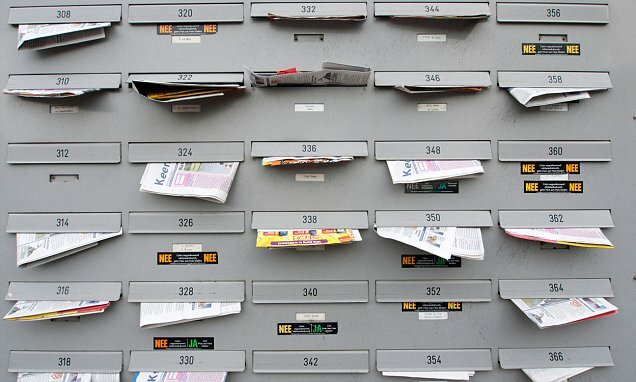 Following a spike in mail theft which has in turn fuelled a rise in ID theft and fraud, residents of apartments are being told to secure their communal letterboxes and be vigilant with non residents in communal areas. 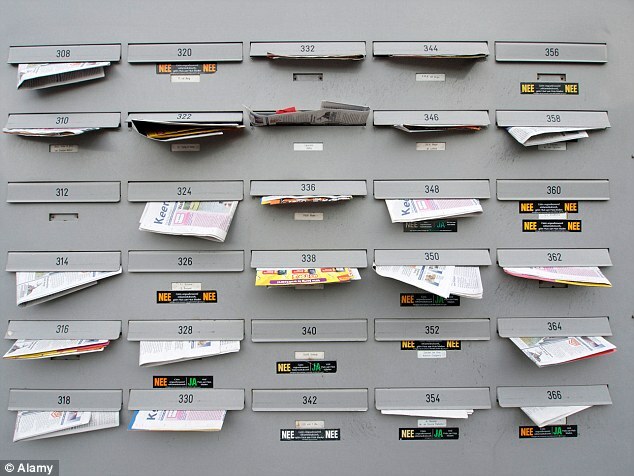 Mail theft fraud increased by ten per cent to £5.0million in the first half of 2014 and residents of flats are particular targets. The scam involves criminals gaining access to blocks of flats and stealing mail from communal letter boxes which can be broken or unlocked. Criminals then commit different types of fraud depending on what information they are able to get their hands on. Hotspots for this type of fraud currently includes Manchester, Twickenham, Harrow and Bromley. But any documents containing financial information can be exploited. Phone scammers who impersonate the police or bank are able to make their calls sound much more convincing by using information gleaned from stolen documents. Katy Worobec, Director of Financial Fraud Action UK, said: 'Letters and packages can be a key source of information for criminals aiming to defraud you, so make sure your mail collection points are as secure as they can be. Documents containing personal or financial information are of particular value to fraudsters, so keep a special look out if you're expecting to receive something important. Contact us today to make sure your mail is as secure as it can be, also please check out our Secured By Design product, the most secure post box on the market! Mail theft fraud has increased by ten per cent to £5.0million in the first half of 2014 and residents of flats are particular targets.